Start looking for your next Central Kentucky home with the Clinkenbeard Extreme Team's home finder service. Our program automatically sends you listings of homes in Elizabethtown, Radcliff, Rineyville, Vine Grove, Fort Knox and other cities matching your criteria via e-mail daily. Tell us more about the kind of property you're looking for using the form below. 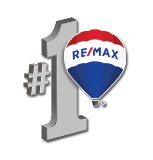 If you have any questions about a listing we send to you or would like to work with a Central Kentucky buyers agent, contact us anytime.